The team will "prepare should the summit take place," the White House said. The White House is still planning to send a team to Singapore in case a summit between President Trump and North Korean leader Kim Jong Un happens after all. White House press secretary Sarah Sanders said in a statement that a "pre-advance team for Singapore will leave as scheduled in order to prepare should the summit take place." 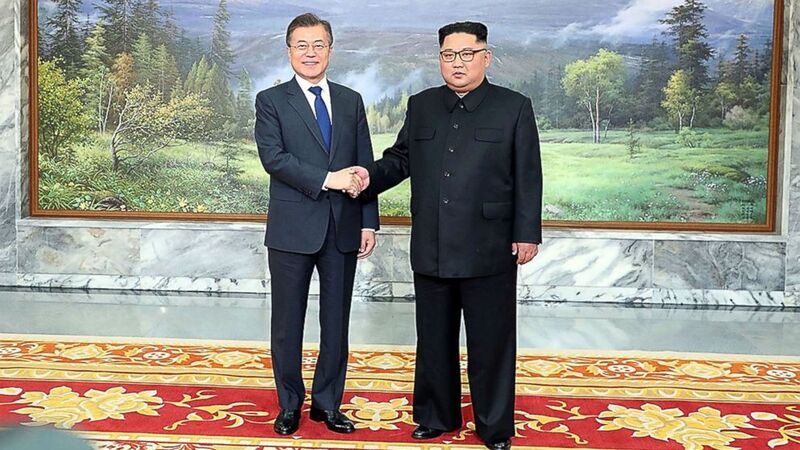 The statement comes after news of a surprise meeting Saturday morning between Kim Jong Un and South Korean President Moon Jae-in to discuss a potential summit between the North Korean leader and Trump. (South Korean Presidential Blue House via Getty Images) South Korean President Moon Jae-in (L) shakes hands with North Korean leader Kim Jong Un (R) before their meeting on May 26, 2018 in Panmunjom, North Korea, May 26, 2018. Trump announced earlier this week that he was canceling the planned June 12 summit with Kim. But on Friday evening the president tweeted that such a meeting could still happen on that date. The last time two weeks ago that a White House delegation traveled in advance of the planned summit they were stood up by their North Korean counterparts. (The Presidential Blue House/Handout via Reuters) South Korean President Moon Jae-in bids fairwell to North Korean leader Kim Jong Un as he leaves after their summit at the truce village of Panmunjom, North Korea, May 26, 2018. The surprise meeting between the North and South Korean leaders on Saturday, held in a village on the north side of their shared border, was to exchange opinions about holding a successful summit between Kim and President Trump and on how to implement steps that Kim and Moon agreed to in their last meeting on April 27, the South Korean president's office said. 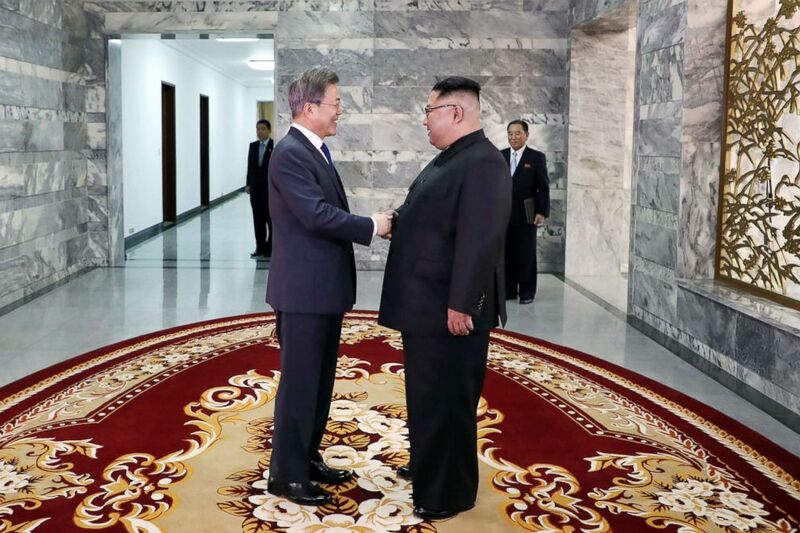 It is unknown whether North Korea requested the meeting first, but sources told ABC News it was arranged in the morning. Moon is to announce details of the meeting at a press conference on Sunday, according to his office. 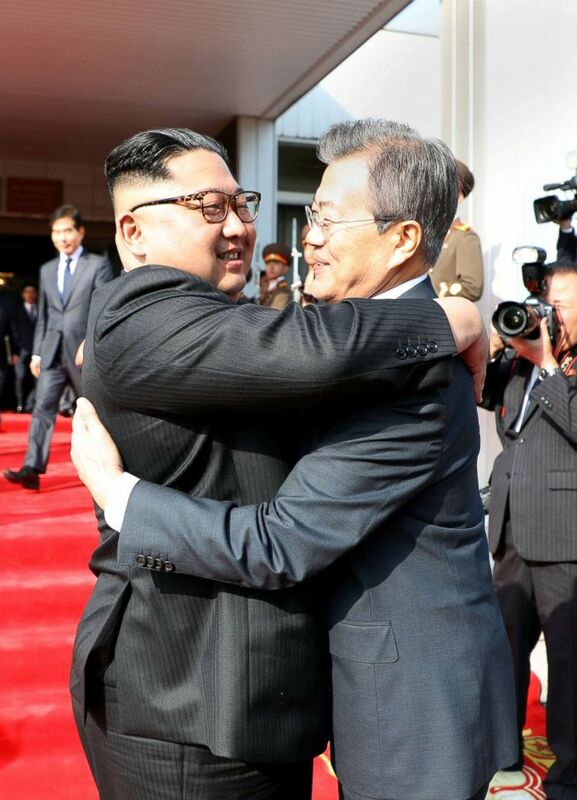 (Dong-A Ilbo/South Korea Blue House/Handout/AFP/Getty Images) South Korea's President Moon Jae-in (L) shakes hands with North Korea's leader Kim Jong Un before their second summit at the north side of the truce village of Panmunjom in the Demilitarized Zone (DMZ) on May 26, 2018. 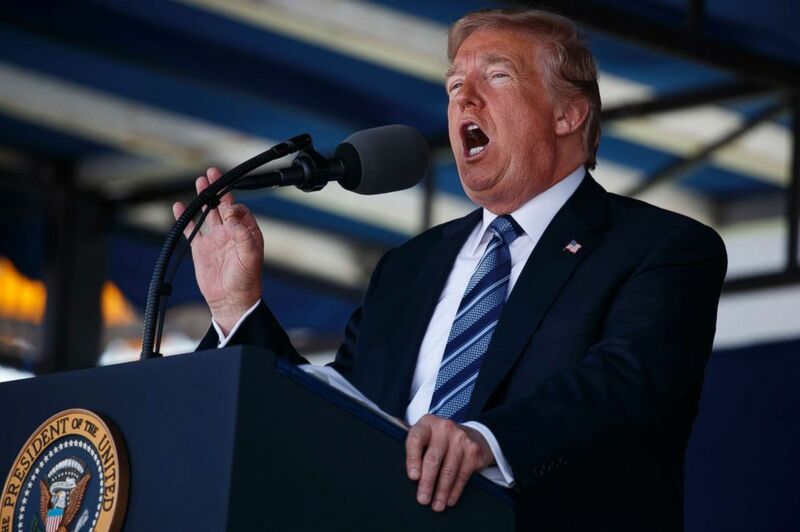 (Evan Vucci/AP) President Donald Trump speaks during a graduation and commissioning ceremony at the U.S. Naval Academy, May 25, 2018, in Annapolis, Md. At the meeting, Kim was with his sister Kim Yo-jong and his top aide Kim Yong chol in charge of inter-Korean affairs. Moon was accompanied by South Korea's national intelligence service chief, Suh Hoon. The White House has not yet responded to a request for comment on the Saturday meeting. ABC News' Kate Lee and Nataly Pak contributed to this report.